The juggler on the left was on the pedestrian bridge linking the two islands, Ile de la Cité and Ile Saint Louis together. For lunches, Ile Saint Louis offers a much better and cheaper choice that Ile de la Cité. It has far fewer tourists and is more residential too. 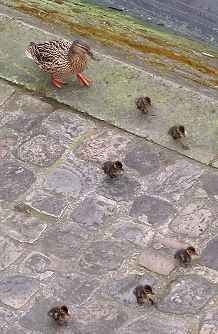 The mother duck and her ducklings, far right, were having a stroll along Quai d'Orleans and snacking on the baguettes of tourists on the way. 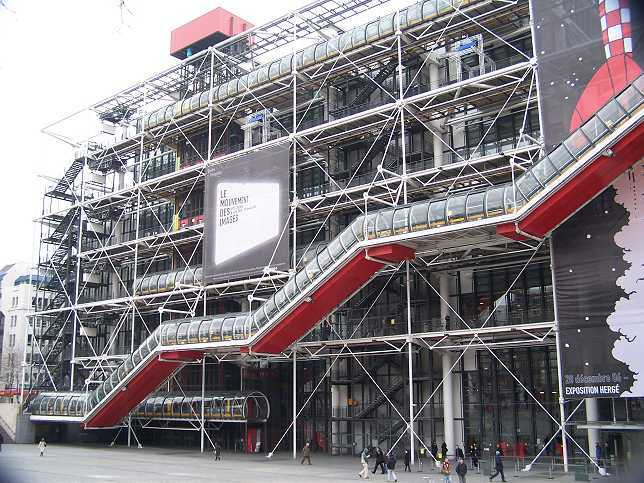 On the left the Pompidou Centre, designed by Renzo Piano and Richard Rogers. 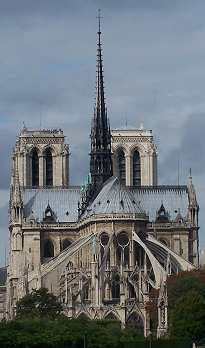 It is 166 m long, 60 m wide, 5 storeys, 42 m high, and around 8 400 square metres of floor space. The elevators and their machinery are in red, the air vents and ducts in blue, the water pipes in green and electricity pipes in yellow. As many of the walls are glass there are wonderful views to be had from the upper floors. The building opened in 1977 and houses a huge collection of modern art. There are also a large public library, cinemas, live performances, a very good cafe, and shop selling really unusual gifts. There is an entrance fee to enter the museum and exhibitions, but as with many museums, entry is free for all on the first Sunday of each month.